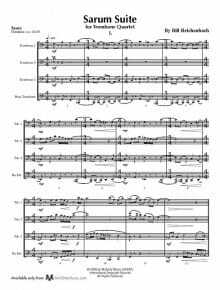 4 Trombones in Chamber music | Product categories | McGinty Music, LLC. 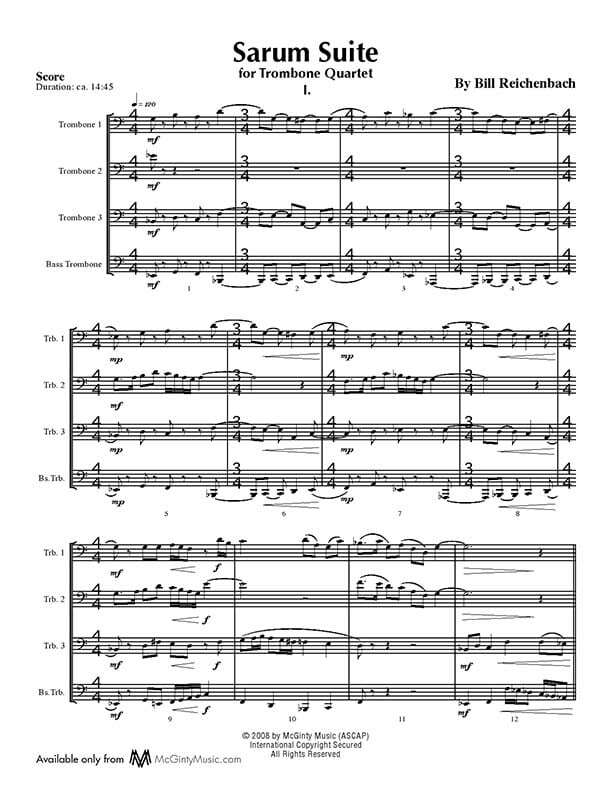 Written for 4 trumpets, 4 trombones (1 bass) and solo bass trombone, this is a welcome addition to the brass ensemble literature as well as a very musical piece to feature your bass trombone soloist. 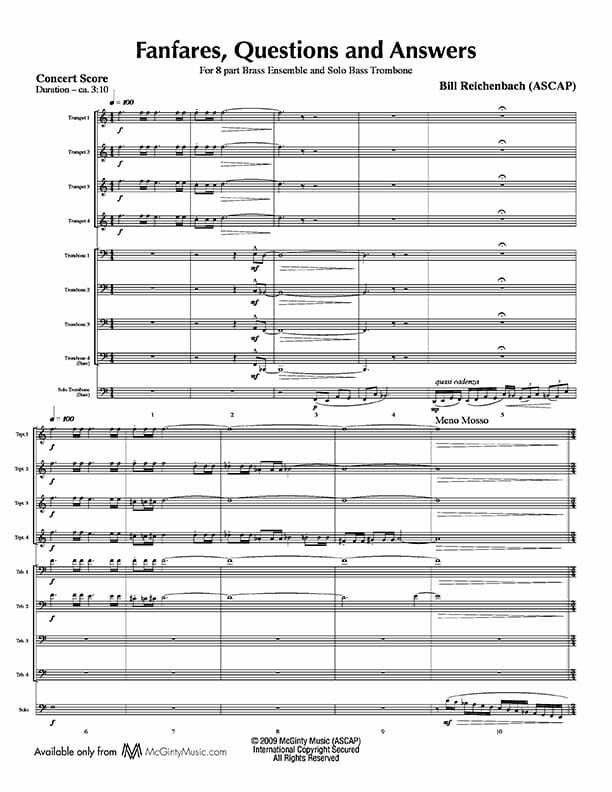 Sarum Suite for Trombone Quartet features the artistry of Bill Reichenbach – a must-have for your library! In three movements, this is perfect for recital or contest/festival. 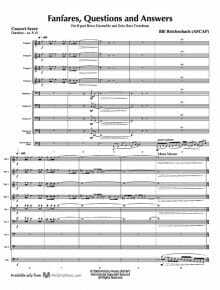 A beautiful and very well-crafted composition.